Eyelash extensions application is a profitable business that gives an esthetician an opportunity to transform the lives of every client that comes to the spa. 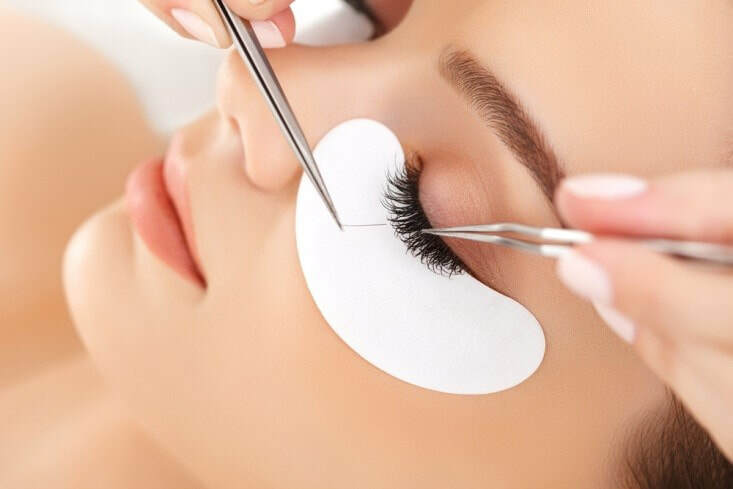 Despite how careful you may be, an accident may occur in the course of applying the lashes and if you do not have an insurance cover to help in paying for such liabilities, you could run into huge financial losses. Clients who come for eyelash extension application in your spa do so because they have faith that you will be careful when applying the lashes. However, a client may move when holding sharp tweezers and the edge accidentally gets into the eyes. You will be forced to cater for the treatment as well as other damages that will be as a result of the accident. Eye injuries: these could be as a result of sharp objects like tweezers that are used in the lash application. A client could accidentally change position making the sharp edge to get into the eye causing an injury. Allergic reactions: An esthetician may use certain products without consulting the customer which may lead to severe allergic reactions. Lash glue and some lash extension brands are some of the products that may lead to severe allergic reactions. Infections: If the items you are using for the lash application are not clean, they may cause an infection and you will be held responsible. There are other infections that will be as a result of poor hygiene which is not covered by insurance and you should be able to educate your customers regarding the same. As a result of the above risks, you will need to have serious considerations regarding an insurance cover. You have to ensure that the cover chosen will cover all or most of the risks in case they occur. You also have to ensure that you get the right insurance company which will keep its word in case the insured incident happens.